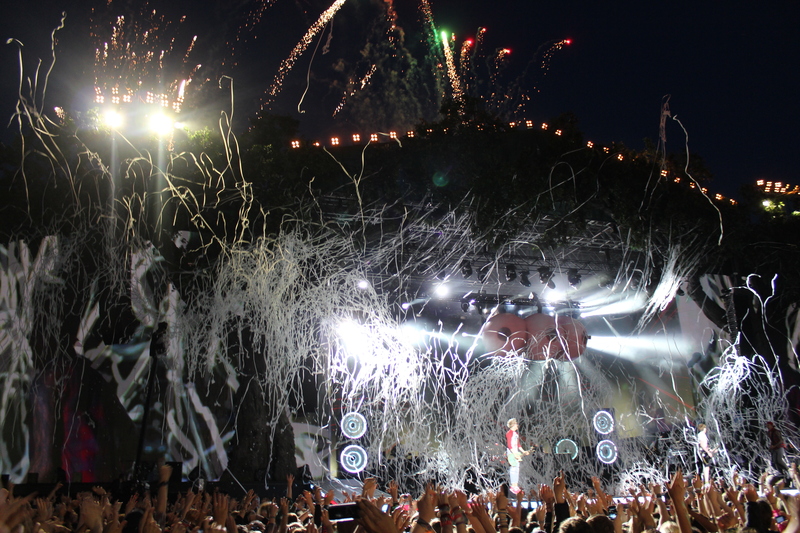 McBusted headlining British Summertime in Hyde Park today was amazing! We saw The Backstreet Boys today, along with Wheatus and of course the ‘superband’ combination of Busted and McFly. We got in quickly with the help of our bPay wristbands and headed straight to the bar for a pint. I went with Ellen and her friends from Scout jamborees, Ruth and Luke. Ruth and Ellen got to go up in the #betterview seats and saw the site across Hyde Park and beyond. It rained quite heavily during the BSB set but I embraced the rain. The sun came out for McBusted’s set opener of Air Hostess, which featured a Delorean in their opening sequence! But the rain came back midway, but it was all worth it! And of course, they closed with Year 3000 which is undoubtedly Busted’s most remembered hit. Some video and additional photos will be on my Facebook profile tomorrow.